Celebrities, bloggers and hair maniacs know that the best thing you can do for your hair is to deeply and regularly nourish it. Especially, if you often reach for styling products filled with chemicals substances or use blow-dryers, straighteners or curling wands that produce heat, harmful to your hair. Colour-treating, bleaching, stress, poor diet, medicine, high, low temperatures, air conditioning....those factors are extremely harmful to your strands. If hair bulbs are weak, your strands will not grow long and healthy. On the contrary, hair starts falling out, become dry or greasy, become dull, rough, and brittle. The only remedy for such fragile wisps is hair oiling. Hair oiling is a treatment done with the use of natural oils. It consist of applying oil of your preference on your hair and scalp - or in some cases - only on the wisps. The product can be use only on your hair ends to protect and strengthen them. Hair oiling provides not only beautiful appearance, softness and resilience but also deep regeneration. Oils penetrate into the inner parts of hair, to the hair bulbs and in the scalp to rejuvenate and strengthen it from the roots to the ends. Additionally, they protect the ends against damage. In consequence, strands grow strong and healthy. It stops falling out while the processes taking place on our scalp are improved. 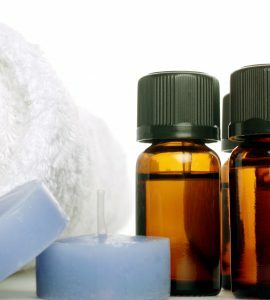 Natural oils are obtained in the process of cold pressing. They are extracted from plants or seeds. Of course, natural oils are not produced from random plants or nuts. On the contrary, those are substances containing the essence of the plant they are gained from. The more vitamins, minerals and good fatty acids the plant has, the better, Natural oils are rich in many valuable components which the plants, stems, flowers have to offer. It will not be an exaggeration if we say that natural oils are the elixir of beauty. Oils can be used on your entire body and face, however, the most popular use is for hair care. Thanks to them, we are able to perform hair oiling treatment. WHAT OILS ARE SUITABLE FOR HAIR OILING? 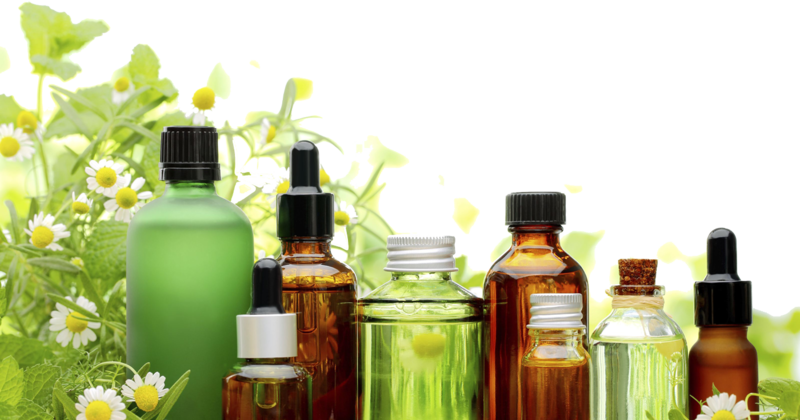 There are so many natural oils on the market that it would probably take a while to test them all. 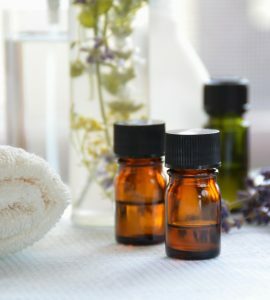 What is more, you should keep in mind that not all oils are suitable for oiling. Cooking oils found in your kitchen should be better left on the shelves. Refined oils will not provide your hair with nourishment and regeneration as well. For beauty purposes, you ought to reach only for unrefined, natural, organic oils, obtained in the process of cold pressing. Remember that you will not buy them in glass bottles, like you usually do with cooking oils. Moreover, natural oils are available in online shops, drugstores, healthy food shops and departments with natural cosmetics. Some brands offer only natural oils and such producers are worth looking for. 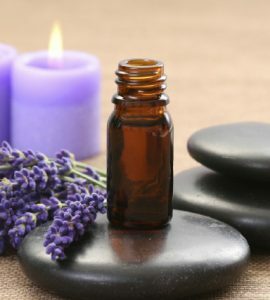 What is also important is that essential oils are not recommended for hair oiling. They have a completely different task than nourishing and regeneration. 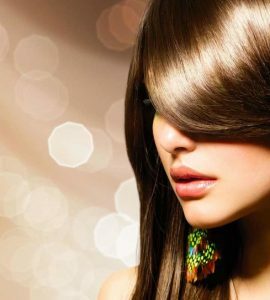 Natural oils for hair – they have become extremely popular and replace numerous cosmetics, including face serum, body lotion and nail conditioner. Most of all, they are a must have in hair care. Similarly to any other body part, hair also needs proper care. It consists in delivering ingredients which moisturise, nourish and regenerate. What happens to hair which lacks suitable amount of vitamins, minerals and good fatty acids? HOW TO OIL OUR HAIR? There is a variety of ways of carrying out hair oiling. 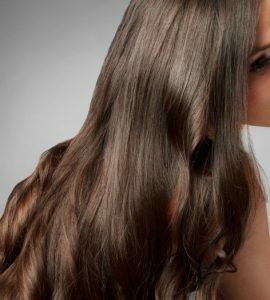 The most popular method is to oil both hair and scalp, which unfortunately, takes a bit of time. The oil of your preference is to be applied on hair and scalp performing a few-minute massage at the same time. This will stimulate blood circulation and therefore, strengthen hair bulbs and 'force' them to work. It is best to keep oil on hair and scalp for a few hours. However, if you cannot devote so much time, at least an hour or two will be enough. What is more, oil should be applied on dry or damp hair. Due to the fact that natural oils are fond of warmth, it is advisable to put on a plastic shower cap and additionally wrap it in a towel. After the desired period of time, wash everything off with a gentle shampoo - free of SLS, SLES. Hair oiling can be done even 15 minutes prior to washing your hair. A few drops of the cosmetic can be added to your favourite conditioner in order to intensify its effects. If you want to provide your hair with a constant nourishment and protect it from damages, you might as well apply oil after washing (in this case, avoid applying it on the scalp, start from the middle parts and focus on the ends). One of the best features of natural oils is the versatility. They can be used on dry hair or only on the ends, even several times a day (whenever your feel that your strands are dry, this will provide them with instant condition and shine). Many people pour oil combined with herb infusion or cool boiled water, into a container with an atomiser. This way you can always carry it with you and use whenever you feel the need. Best results are achieved by combining few methods of hair oiling. WHAT IS NEEDED FOR HAIR OILING? a wide tooth comb (preferably a wooden one that will not cause static). You will comb through your hair before oiling, to get rid of any tangles. After the application, distribute the product all over your hair. Thanks to this, you will be sure that the cosmetic is evenly distributed. a plastic shower cap or just plastic bag (the same one you use for shopping) - if you cover your hair right after oiling, you will provide perfect condition for the oils to 'work'. Therefore, the effects will be a lot better. a towel – it is probably obvious: we put it on our shoulders before the application. This will prevent staining our clothes. However, it is worth remembering to put on the shower cap and additionally wrap it in a towel - therefore, the heat will be maintained and neither hair nor scalp will cool down. a toothbrush or tint brush – thanks to these tools, you will evenly cover your head with oil. Do it as if you were touching up your roots, however, in this case, focus on the scalp not hair. After the application, massage your scalp for a couple of minutes, then comb through and apply oil on the wisps. a small bowl – will facilitate the process of application. Oil poured into a bowl allows an accurate dosage applied on hair and scalp. Moreover, one tablespoon of the cosmetic is enough for the treatment. You can slightly alter the amount accordingly to the length and thickness of your strands. Now you just soak your brush in oil and apply on scalp. You can easily do the same thing with your fingertips. HOW TO MATCH OIL TO SPECIFIC HAIR TYPES? Oil, which you intend to use for hair oiling, should be matched to the type and condition of your hair. It cannot be a random natural oil which "seems to be ok." Oils must be selected accordingly to the porosity of your strands. Mismatched products may weigh wisps down or cause frizz. Therefore, the knowledge of hair porosity is an absolute basis. Hair porosity is the criterion determining the condition of our hair, or more precisely - the degree of how high microscopic scales on the hair surface are raised. The more these scales are parted, the more damaged our hair is. There are three types of hair porosity. They are the guidance to properly choose certain oils. Why? Each oil is made of particles of different sizes. Large particles will fit to widely parted hair scales of high porosity hair. Oils with small particles will deal with a tightly bound cuticle layer of low porosity hair. HOW TO CHECK YOUR HAIR POROSITY? Hair porosity can be checked at the trichologist's office, however, it is not necessary to schedule and appointment to learn how damage your hair is. First of all, you probably already know it yourself, and feel what condition are your wisps. 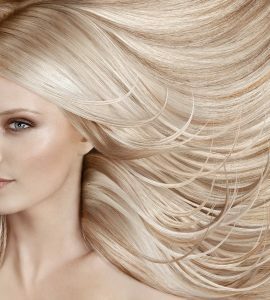 For example, if you often colour-treat your hair, bleach or straighten it, there is no hope for it to be healthy and low porosity. You must know that most people worldwide has medium porosity hair. However, if you want to be completely sure about your own porosity, you can conduct a very easy test in the comfort of your own home. Before the test, you must prepare a clear (see-through) container and room temperature water (too cold or too hot water can raise or close the scales). Now, take a clean hair and put it in to the container with water. Make sure that the wisp is free of silicones or styling products. The cleaner the hair, the better the outcome will be. After about 10 minutes take a look at what is happening with the hair. It your strand is still on the surface, you have healthy, low porosity hair with tightly bound cuticle layer with overlapping scales that lay flat. Such hair type absorbs water a lot slower, therefore, the wisp 'drowns' slower. However, if your hair 'dived' only to the middle of the container - your hair has medium porosity, with slightly looser cuticle layer. The lower the hair went, the higher the porosity. If it went all the way to the bottom, - your hair has high porosity and require extra care. WHAT TYPES OF OILS MATCH PARTICULAR HAIR POROSITY? Now comes the time for the finale. That is matching oils to porosity. You must remember about one important matter: even healthy, low porosity hair requires care and protection. Otherwise, it can become damaged and change to medium or high porosity. High porosity hair is fond of oil with the majority of omega-3 and omega-6 fatty acids. Those are: grape seed oil, sunflower oil, wheat oil, linseed oil, black seed oil and corn oil. Medium porosity hair likes oils with the dominance of omega-7 and omega-9 fatty acids. Those are: almond oil, argan oil, macadamia oil, sesame oil, jojoba oil and avocado oil. The best protection low porosity hair will gain is from oils with the content of saturated fatty acids. Those are: coconut oil, palm oil and babassu oil. Good luck with hair oiling!